There was a recent mailing from the FAA to our customers who previously purchased Removable Cessna Jump Seats. Should you receive this letter please visit this link for more information. P/N: AD1260558-2 Price: $1,890 each Eligible On: Cessna 206, U206G, TU206G, 206H, T206H, 207A, T207A, 210-5, and 210-5A Series Aircraft STC: N/A FAA/PMA: Supplement 35 Weight: 1.8 oz. Material: 4130 N, powder coated black Purpose: Direct replacement for Cessna P/N's 1260558-2 and 1260418-4. Installation: Same as original stock part. Misc. Information: Reinforcement straps installed on pedal tubes. P/N: 170VB Price: $615 each Eligible On: Cessna 170A and 170B STC: SA02319AK-D FAA/PMA: Supplement 53 Weight: 2.8 lbs. Material: Stainless Steel, powder coated black. Purpose: Windshield V-Brace adds rigidity to the airframe when on floats or rough terrain. Installation: Please see Installation Instructions. P/N: 3359-1 Price: $385 each Eligible On: Cessna 170, 180, and 185 Series Aircraft STC: N/A FAA/PMA: N/A Weight: 12.3 oz. Material: Stainless Steel with Aluminum Brackets, powder coated black. Purpose: Replacement EDO P/N 5469-9. Installation: Same as original stock part. Misc. Information: Also commonly called a Water Rudder Retract Kit. P/N: AD16797 Price: $127.50 each Eligible On: Cessna 180 Series Aircraft (Serial numbers 3000 thru 32151 only) STC: N/A FAA/PMA: N/A Weight: 4.3 oz. Material: Stainless Steel Purpose: Replacement for EDO P/N 16797. Installation: Same as original stock part. Misc. 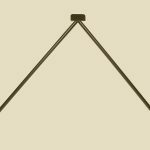 Information: Used on early model Cessna 180 Series Aircraft without Tailwheel Steering Belcranks in Tail Cone. P/N: 180-VBE Price: $615 each Eligible On: Cessna 180, 180A, and 180B with serial numbers 604, 613, and 3000 thru 50661. STC: SA02319AK-D FAA/PMA: Supplement 5 Weight: 2 lbs., 3.7 oz. Material: Stainless steel, powder coated black. Purpose: Windshield V-Brace adds rigidity to the airframe when on floats or rough terrain. Installation: Please see Installation Instructions. P/N: 4236 Price: $465 each Eligible On: Cessna 180, 182P, 182R (S/N 18262466-18268541), F182P, F182Q (S/N 18200001- 18200169) and 185 Series Aircraft STC: N/A FAA/PMA: Supplement 4 Weight: 3.7 lbs. 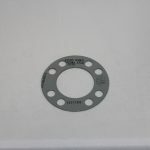 Material: 304 Stainless Steel Purpose: Heavy duty direct replacement for Cessna P/N 0750161-87. Installation: Same as stock Cessna part. Misc. Information: Fabricated with a doubler over the tailpipe outlet. P/N: AD0750161-89 Price: $685 each Eligible On: Cessna 180G, 180H, 180J, 180K, 182G, 182H, 182J, 182K, 182L, 182M, 182N, 182P, 182Q, 182R 185, 185A, 185B, 185C, 185D, 185E, A185E, and A185F Series Aircraft STC: N/A FAA/PMA: Supplement 20 Material: 321 Stainless Steel Purpose: Heavy duty direct replacement for Cessna P/N 0750161-89 Installation: Same as original stock part. P/N: AD0513003-19 Price: $615 each Eligible On: Cessna 180, 180A, 180B, 180C, 180D, 180E, 180F, 180G, 185, 185A, 185B, and 185C STC: N/A FAA/PMA: Supplement 50 Weight: 2.8 lbs. Material: Stainless Steel, powder coated black. Purpose: Direct replacement for Cessna P/N 0513003-19. Installation: Same as original stock part. P/N: AD0713103-2 Price: $615 each Eligible On: Cessna 180H, 180J, 180K, A185E, and A185F Series Aircraft STC: N/A FAA/PMA: Supplement 50 Weight: 2.8 lbs. Material: Stainless steel, powder coated black. Purpose: Direct replacement for Cessna P/N 0713103-2 and 0713878-5. P/N: 8015-01 Price: $685 each Eligible On: Cessna 185, 185A, 185B, 185C, 185D, 185E, and A185E with serial numbers 185 thru 18501832 STC: N/A FAA/PMA: Supplement 9 Weight: 5.5 oz. Material: Aluminum and Stainless Steel Purpose: Direct replacement for Cessna P/N 0750174-3. Installation: Same as original stock part. P/N: AD0700147-9 Price: $267.50 each Eligible On: Cessna 185D, 185E, A185E, and A185F STC: N/A FAA/PMA: Supplement 51 Weight: 4.1 oz. Material: 5052-0 Aluminum Purpose: Direct replacement for Cessna P/N 0700147-9 Installation: Same as stock part installation. 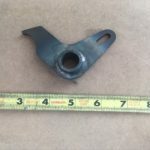 P/N: 3168-206 Price: $390 per kit Eligible On: All Cessna 205 and 206 Series Aircraft STC: N/A FAA/PMA: N/A Material: 304 SS Brackets Purpose: Used for ski rigging installation. Installation: Brackets are bolted on. Misc. Information: Custom order only. Commonly used for straight wheel ski replacement installations under FAA field approval. P/N: 3193 Price: $875 each Eligible On: Cessna 206 Series Aircraft equipped with EDO 582-3430 floats. 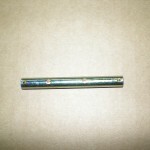 STC: SA02088AK FAA/PMA: Supplement 1 Material: Stainless Steel support tube with Aluminum rungs. Purpose: Used for easier loading of aircraft through right hand AFT door when aircraft is on floats. Installation: Bolts on. Misc. Information: Support tube is telescoping to allow for installation variances and float movement while in service. P/N: AD1242013-1 (left hand) and AD1242013-2 (right hand) Price: $515 each Eligible On: Cessna 206 Series Aircraft STC: N/A FAA/PMA: Supplement 38 Weight: 2.10 oz. Material: 321 Stainless Steel Purpose: Direct replacement for Cessna P/N's 1242013-1 and 1242013-2. Installation: Same as original stock part. P/N: AD696-1182-1 Price: $385 each Eligible On: Cessna 206 Series Aircraft STC: N/A FAA/PMA: N/A Weight: 11.2 oz. Material: Stainless Steel with Aluminum Brackets, powder coated black. 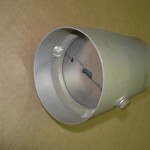 Purpose: Replacement for EDO P/N 696-1182-1. Installation: Same as original stock part. Misc. Information: Also commonly called a Water Rudder Retract Kit. P/N: AD1243600-1 Price: $515 each Eligible On: Cessna 206 and 207 Series Aircraft STC: N/A FAA/PMA: Supplement 44 Weight: 15.4 oz. Material: 4130 N, powder coated white Purpose: Direct replacement for Cessna P/N 1243600-1. Installation: Same as original stock part. P/N: 3226 Price: $485 each Eligible On: Cessna 206 and 207 Series Aircraft STC: N/A FAA/PMA: Supplement 1 Weight: 3 lbs., 7 oz. Material: 6061-T6 Aluminum, powder coated gray Purpose: Direct replacement for Cessna P/N's 1214012-1 and 1214012-4. Installation: Same as stock Cessna part. Misc. Information: Seat back and hinges fabricated from solid stock aluminum for durability and to prevent bending and cracking at the hinge mounts. P/N: AD1242001-18 Price: $615 each Eligible On: Cessna All 206, U206, TU206, 207, and T207 Series Aircraft STC: N/A FAA/PMA: Supplement 24 Weight: 2 lbs. Material: Stainless steel, powder coated black. Purpose: Direct replacement for Cessna P/N 1242001-18. Installation: Same as original stock part. P/N: AD1250256-7 (left hand) and AD1250264-6 (right hand) Price: $390 each Eligible On: STC: N/A FAA/PMA: Supplement 38 Weight: 2.1 oz. 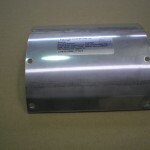 Material: 321 Stainless Steel Purpose: Direct replacement for Cessna P/N's 1250256-7 and 1250264-6. P/N: AD1250258-1 Price: $275 each Eligible On: Cessna 206, U206A, U206B, U206C, U206D, U206E, P206A, P206B, P206C, P206D, P206E, 210B, 210C, 210D, 210E, 210F, 210G, 210H, 210J, 210K, T210F, 210-5 (205), and 210-5A (205) Series Aircraft STC: N/A FAA/PMA: Supplement 31 Weight: 2 oz. 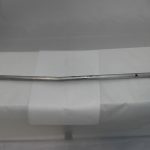 Material: 304 Stainless Steel Purpose: Direct replacement for Cessna P/N 1250258-1. Installation: Same as original stock part. P/N: AD1200106-166 Price: $365 each Eligible On: Cessna 207, 207A, T207, and T207A STC: N/A FAA/PMA: Supplement 42 Weight: 4.2 oz. Material: 5052-0 Aluminum Purpose: Direct replacement for Cessna P/N 1200106-166 Installation: Same as stock part installation. P/N: AD1250259-1 Price: $365 each Eligible On: Cessna 207 and T207 STC: N/A FAA/PMA: Supplement 22 Weight: 5 oz. Material: 321 Stainless Steel Purpose: Direct replacement for Cessna P/N 1250259-1 Installation: Same as original stock part. Misc. Information: Replacement clamp is made of heavy duty material, including extra doublers, to prevent damage to attach mounts. P/N: AD1254003-1 (left hand) and AD1254003-2 (right hand) Price: $287 each Eligible On: Cessna 207, 207A, T207, and T207A Series Aircraft STC: N/A FAA/PMA: Supplement 33 (covers left hand), Supplement 33 (covers right hand) Weight: 2 oz. Material: 304 Stainless Steel Purpose: Direct replacements for Cessna PN's 1254003-1 and 1254003-2. Installation: Same as original stock parts. P/N: AD1254004-3 (left hand) and AD1254004-4 (right hand) Price: $615 each Eligible On: Cessna 207, 207A, T207, and T207A Series Aircraft STC: N/A FAA/PMA: Supplement 37 (covers left hand), Supplement 37 (covers right hand) Weight: 2.7 oz. 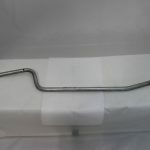 Material: 321 Stainless Steel Purpose: Direct replacements for Cessna P/N's 1254004-3 and 1254004-4. Installation: Same as original stock parts. P/N: 208SRT Price: $47.50 each Eligible On: Cessna 208 Series Aircraft STC: N/A FAA/PMA: N/A Weight: 4 oz. Material: 4130N, powder coated yellow. Purpose: To assist in removing seat from aircraft. Misc. Information: Powder coated yellow for extra visibility, handle has a drilled hole to attach a lanyard if desired. P/N: AD0741022-2 Price: $32.50 each Eligible On: Cessna 180J, 180K, and A185F equipped with leaf spring landing gear. STC: N/A FAA/PMA: Supplement 30 Weight: .7 oz. 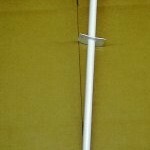 Material: 4130N Steel Plated Purpose: Direct replacement for Cessna P/N 0741022-2 Installation: Same as original stock part. P/N: AD0750221-1 Price: $167.50 each Eligible On: Cessna 180F, 180G, 180J, 180K, 182Q, 182R, F182Q, 185A, 185B, 185C, 185D, 185E, A185E, A185F, 206, U206, and P206 Series Aircraft STC: N/A FAA/PMA: Supplement 49 Weight: 6 oz. 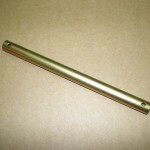 Material: 4130N Steel with Zinc Plating Purpose: Direct replacement for Cessna P/N 0750221-1. Installation: Same as original stock part. P/N: AD1941007-1 Price: $167.50 each Eligible On: C207, 207A, T207, T207A STC: N/A FAA/PMA: Supplement 32 Weight: 1 oz. Material: 6061 T6 Aluminum Purpose: To align landing gear. Installation: Direct replacement for Cessna P/N 1941007-1. P/N: AD0514030-4HD Price: $187.50 each Eligible On: Please see AML STC: N/A FAA/PMA: Approved Weight: 2.8 oz. Material: 4130N Purpose: Seat back adjustment. Installation: Per Cessna service manual. Misc. 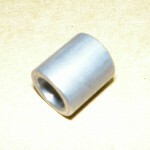 Information: This part has a thicker wall than OEM to prevent roll pin tear out. P/N: AD1213433-16 Price: $187.50 Eligible On: Cessna 206, 207, and 210 Series Aircraft STC: N/A FAA/PMA: Approved, Supplement 66 Weight: 12.4 oz. Material: 4130N, powder coated primer gray. Purpose: Direct replacement for Cessna P/N 1213433-16. Installation: Same as original part. P/N: 3274 Price: $27.50 each Eligible On: Cessna 180, 185, 206, 207, and 210 Series Aircraft STC: N/A FAA/PMA: Supplement 1 Material: Stainless Steel Purpose: Approved replacement for Cessna P/N 0750143-1. 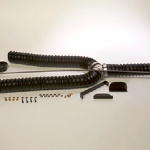 Protects engine intake hoses from heat damage. Installation: Same as original Cessna stock part. Misc. Information: Fabricated from heavy duty stainless steel to prevent cracking. P/N: 3274-8 (8 inches in length), 3274-10 (10 inches in length), and 3274-12 (12 inches in length) Price: $37.50 each Eligible On: Cessna 180 and 185 Series Aircraft STC: N/A FAA/PMA: N/A Material: Stainless Steel Purpose: Prevents heat damage to the engine mount. Installation: Installs with hose clamps. 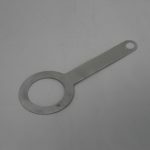 P/N: ADS1426-1 Price: $34.50 each Eligible On: Cessna (late style hinges) STC: N/A FAA/PMA: N/A Weight: .4 oz. 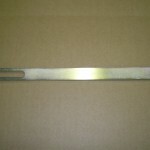 Material: Stainless Steel Purpose: Allows for quick removal and replacement of cabin door to load and unload cargo. Installation: No tools needed. Misc. Information: 1/8" diameter pin. P/N: AD180-JP2A Price: $115 each Eligible On: Cessna Aircraft STC: N/A FAA/PMA: N/A Material: Steel, powder coated red Purpose: Lifts aircraft for installation and removal of aircraft ski's. Misc. Information: Please consult aircraft owner or service manual prior to lifting aircraft. P/N: AD180-JP1A Price: $72.50 each Eligible On: Cessna Aircraft STC: N/A FAA/PMA: N/A Material: Steel, powder coated yellow Purpose: Lifts aircraft for installation and removal of wheels and tires. Misc. Information: Please consult aircraft owner or service manual prior to lifting aircraft. P/N: AD1250251-17 Price: $127.50 each Eligible On: Cessna 210-5 (205), 210-5A (205A), 206, U206 thru U206F, P206 thru P206E STC: N/A FAA/PMA: Supplement 48 Material: Stainless Steel Purpose: Direct replacement for Cessna P/N 1250251-17 Installation: Installs with screws, please consult Cessna Service Manual for further instruction. 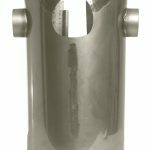 P/N: 2089-6.125 Price: $9.50 each Eligible On: Cessna Aircraft STC: N/A FAA/PMA: N/A Material: Stainless Steel Purpose: Used to assemble rigging for ski installations. Installation: Bolts on. Misc. Information: Options include 2 hole, bent or 2 hole, straight tabs only. 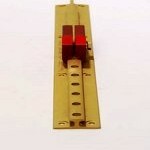 P/N: ADS1426-2 Price: $31.50 each Eligible On: Cessna (early style hinges) STC: N/A FAA/PMA: N/A Weight: .2 oz. 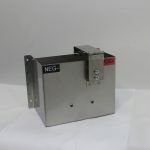 Material: Stainless Steel Purpose: Allows for quick removal and replacement of cabin door to load and unload cargo. Installation: No tools needed. Misc. Information: 3/30" diameter pin. P/N: AD1250255-7 Price: $435 each Eligible On: Cessna U206E, U206F, U206G, 210K, 210L, 210M, 210N, and 210R Series Aircraft STC: N/A FAA/PMA: Supplement 31 Weight: 3.4 oz. Material: 304 Stainless Steel with rubber strap. Purpose: Direct replacement for Cessna P/N 1250255-7. Installation: Same as original stock part. P/N: 3285-1 Price: $785 per pair Eligible On: Maule M-5-180C, M-6-235, MX-7-180, MX-7-235 Series Aircraft STC: SA02256AK FAA/PMA: Supplement 57 Weight: 3.1 lbs. per pair Material: 4130N Purpose: Durable direct replacement for the original clamp on float fittings used on Maule Aircraft equipped with EDO 89-2000 floats. Installation: Please see Installation Instructions. 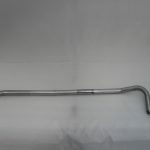 P/N: ADAN737TW91HD Price: $67.50 each Eligible On: Cessna U206 STC: N/A FAA/PMA: N/A Material: Stainless Steel Purpose: Replaces hose clamp to hold tailpipe to the support assembly. Installation: Installation per Cessna service manual. Misc. 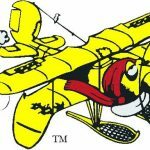 Information: Direct replacement for P/N AN737TW91.